Some people say that animals can sense things about us, when we need them, or need comfort. This tale speaks to that, and if it’s not proof, it goes a long way toward helping make a strong case for it. 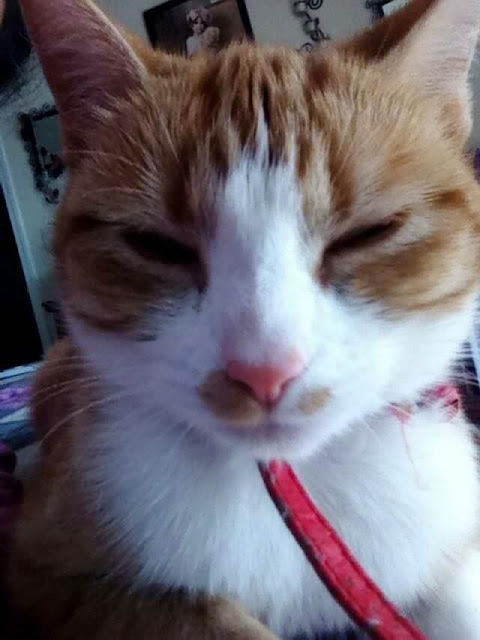 In the San Francisco Bay area of California, Nala the cat was known to like to go out and explore her neighborhood. Her family trusted her, and she always came back at nights to spend the night safe at home. One day, she came home with a note attached to her collar. 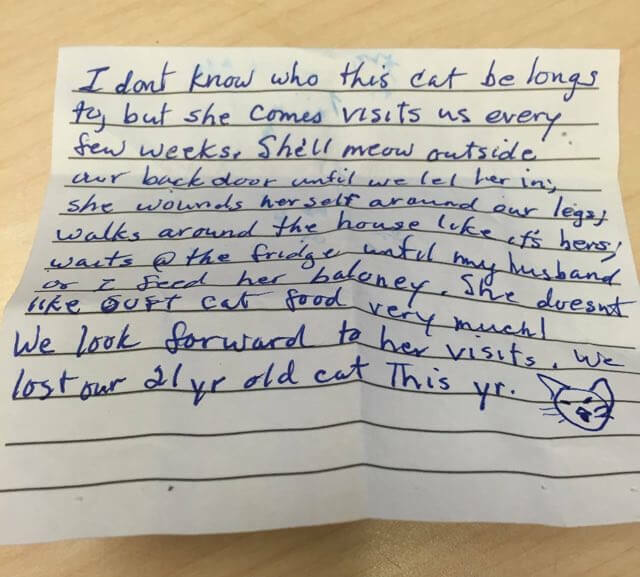 The note was from a neighbor, who didn’t know with whom the cat lived, but had been visited by Nala a lot starting this year. 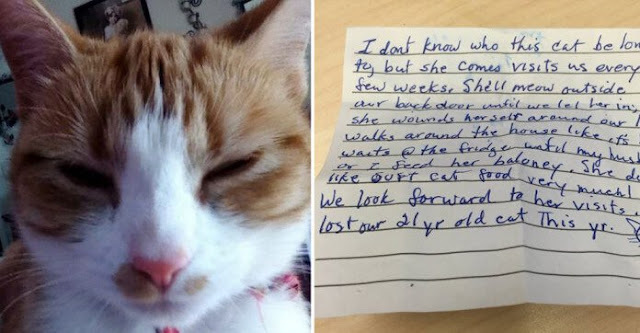 Take a look at this note and the cat!